In theme with our recent blog series that highlighted the Colorado felony classes and related sentences, here, we will provide an overview of the Colorado misdemeanor classes as outlined by criminal statutes (Colo. Rev. Stat. § 18-1.3-501). While the discussion below is general, you are encouraged to receive more specific information about your misdemeanor case – and your best options for resolving it as favorably as possible – by contacting the Griffin Law Firm today. Here’s an overview of Colorado misdemeanor classes and related sentences. 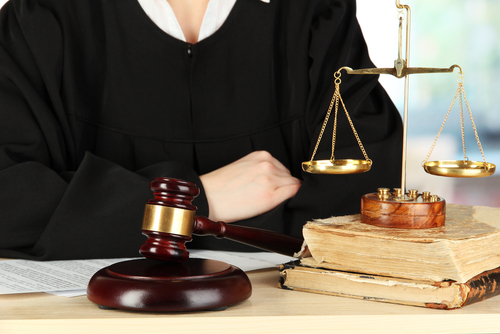 For the best defense against misdemeanor charges in Colorado, contact the Griffin Law Firm. Class 1 Misdemeanor Charges – As the most serious types of misdemeanor charges that can be filed, this class of charges can be punishable by 6 to 18 months in jail, as well as fines between $500 and $5,000, upon conviction. Class 2 Misdemeanor Charges – For convictions of these misdemeanor charges, the potential penalties can range from 3 to 12 months in jail, as well as fines between $250 and $1,000, upon conviction. Class 3 Misdemeanor Charges – Convictions of these less serious misdemeanor charges can be punishable by up to 6 months in jails and fines of up to $750. A criminal record that can limit future employment opportunities. Given these possible penalties, it’s clearly important to have a strong defense against misdemeanor charges, and trusting your defense to the Griffin Law Firm will be your best move when it comes to successfully resolving these cases. Have you or someone you love been charged with a misdemeanor crime in Colorado? If so, the experienced Denver and Boulder Metro Area criminal defense lawyer at Griffin Law Firm wants you to know that he is ready to immediately start advocating your rights and providing you with the strongest possible defense. When people accused of crimes turn to the Griffin Law Firm to defend them, these people can rely on the fact that our trusted Denver and Boulder criminal defense attorney will do everything in his power to help them resolve their case in the most favorable and efficient manner possible.